HIGH The new gear system is perfection. WTF Who wants an amusement park based on explosions? The Mega Man series has always been a favorite of mine. While I didn’t play many when they initially came out, I was first in line for their reissues on modern consoles. I had heard rumors about a new entry being developed, and I was worried after seeing early shots and being reminded of Mighty No. 9, but let’s get this out of the way immediately — Mega Man 11 is so much more than its ‘spiritual successor’ ever was. 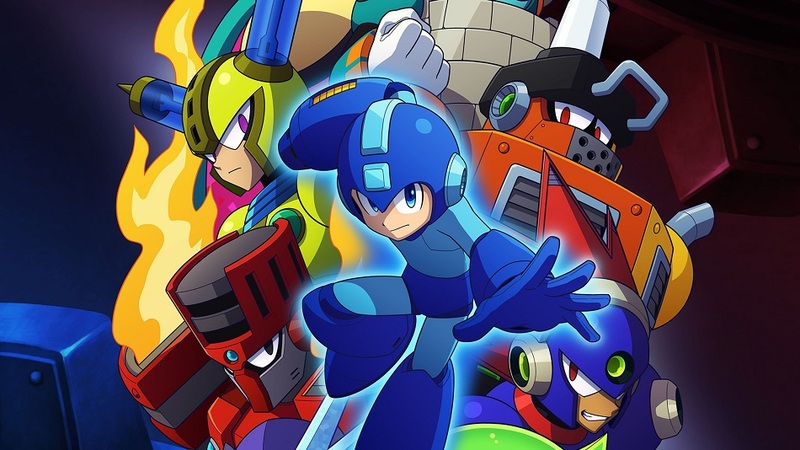 Mega Man 11 is the latest in a long, storied line of action platformers developed by Capcom. Players control the Blue Bomber through a series of eight boss levels, and then attack the castle of Mega Man’s nemesis, Dr. Wily. Interestingly, there is a bit of narrative twist here — previous versions paint Wily as a mad scientist who wants to rule the world. 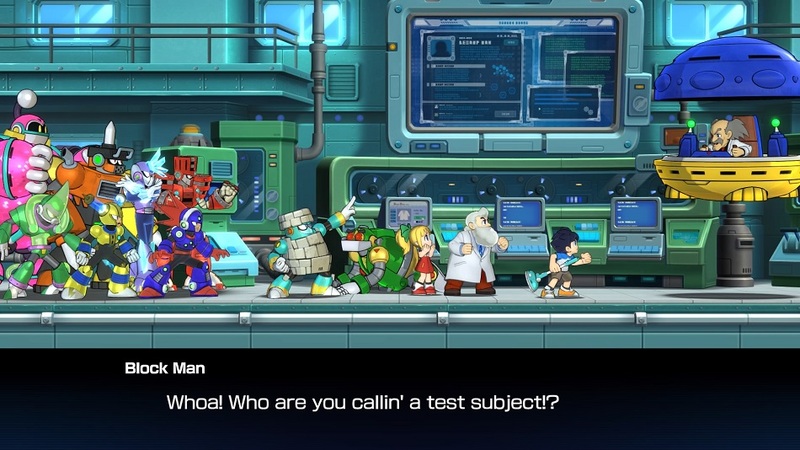 In MM11, things start with a flashback to when Dr. Wily and Mega Man’s creator, Dr. Light, were much younger. When Wily needed him most, Dr. Light disagreed with a research plan, and this assumed betrayal paints Wily in a slightly different light. After decades of sequels, Mega Man 11 introduces players to a new mechanic — the Double Gear system. 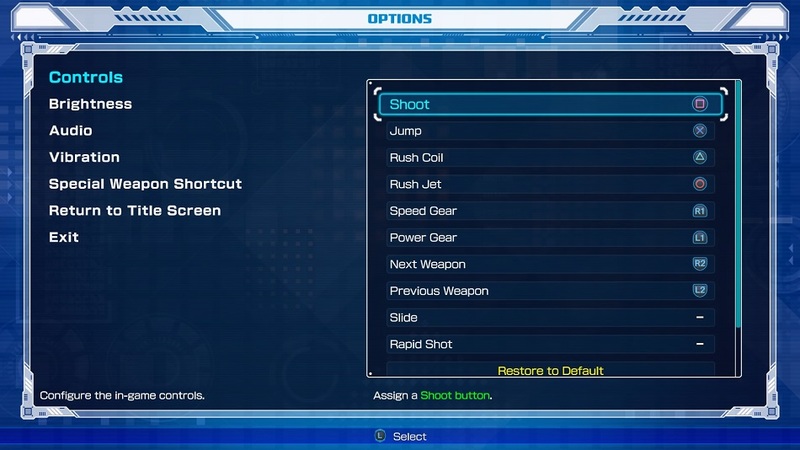 Mega Man can use this system to switch between Speed gear, which slows everything down to help with dodging enemies and platforming, and Power gear, which makes Mega Man’s shots hit harder and more often. The Power gear also affects the special weapons that Mega Man earns through his trademark ability to absorb the moves of enemy bosses. For example, one weapon in standard mode causes a small set of blocks to appear and drop onto enemies. Using the same move with the Power gear will turn it into a wall of blocks that cascade down, crushing nearly everything underneath it. When Mega Man gets low on health, players can also activate both gears simultaneously to get the best of both worlds, and can shoot a powerful final buster shot. The writing is pleasantly campy and similar to that of a Saturday morning cartoon, complete with comic relief side characters and all. Visually, Mega Man 11 offers incredibly detailed and beautiful levels — explore ancient stone temples, survive a carnival of explosions, and hop around a bouncy castle (although frankly, that level had me cursing at the game more than it should have). Every music track is upbeat and lighthearted, with just the right amount of tension when reaching a boss. One thing the Mega Man series is known for is difficulty. Some of the newer entries gave players an easier ride, but most of them are quite hard by default. MM11 offers difficulty options which will change the experience significantly. Easier settings will increase how much damage Mega Man can dish out, and fewer enemies will appear. Harder settings will increase enemy health and make life-up items drop less frequently, if at all. I’ve always been a fan of making games more accessible to a wider range of players, so this is a great addition. 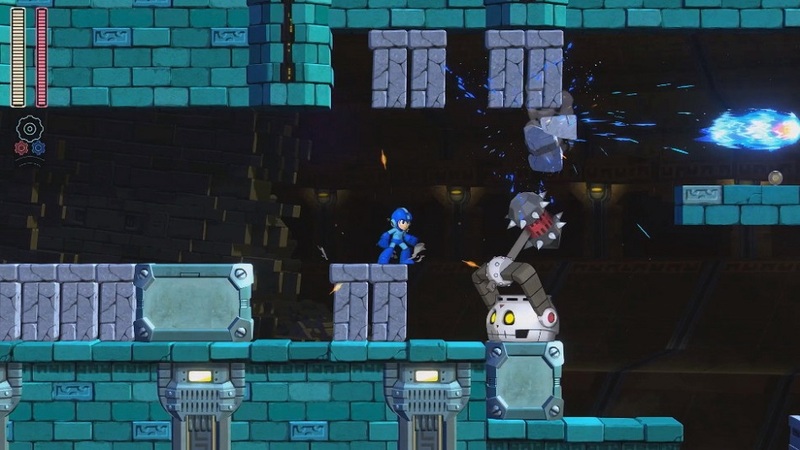 While Mega Man 11 is generally great, one stage in particular fell short for me– in it, players will attempt to jump over a pit, only to have an enemy shoot up from the bottom of the pit and push the player back, resulting in death. Until I knew it was coming, I didn’t have enough time to back up to safety before getting killed. The game is lenient with checkpoints, but this kind of ‘gotcha!’ design is unwelcome and unfair. Disclosures: This game is developed and published by CAPCOM CO., LTD. It is currently available on Steam, PS4, XBO and Switch. This game was obtained via publisher and reviewed on PS4. Approximately 10 hours were spent in single player mode and challenge modes, and the game was completed. This game includes no multiplayer. Parents: According to the ESRB, this game is rated E10+ and contains Cartoon Violence. Robots shooting robots, and enemy robots explode. It’s about the level of a action Saturday morning cartoon. Deaf & Hard of Hearing Gamers: Dialogue is voiced in English, but also includes subtitles for all dialogue. Text cannot be resized. It’s fully accessible.